Get your tires back in tip-top shape by taking advantage of our terrific service specials on tire replacement and repair. Your tires do the dirty work of your vehicle and make constant contact with the road beneath them. If your tires wear unevenly or become flat or just plain worn out, the road ahead becomes mighty bumpy. Replacing your tires has a wealth of benefits that help your vehicle perform better in all weather conditions. After a tire change, you'll enjoy better traction on the road, especially during adverse weather conditions, and a less bumpy ride overall. Most people opt to replace tires rather than repair them, but you can always count on us to listen to your wants and needs as far as repair or replacement go. 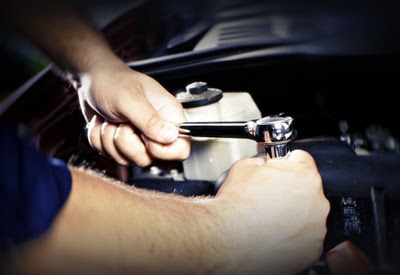 At our dealership, we employ only certified professionals who have experience in working with tires. They're people who have years of experience inspecting, replacing, and repairing tires, and they have a dedication for the job that you will recognize right away. While our professionals are friendly and always ready to go to work for you, they're also massively knowledgeable about their field and have confidence in their work. Our pros work on all makes and models of vehicles, not just Jaguar, so don't be shy about bringing in other models to our professionals. They'll tackle any job on any model of vehicle. We love serving the area that we work in. Over the years, we've found some of the friendliest folks in the world here, and it's our honor to continue serving you whenever you need work done on your tires. No matter what your make or model, you can count on us to answer your questions, get your job done thoroughly but promptly, and steer you toward the kind of tires that will be right for your vehicle. That's our job, and we love doing it here in this area. OEM parts are a big emphasis here at our dealership. Whenever our service team needs to do a replacement, we immediately turn to OEM (Original Equipment Manufacturer) parts, never aftermarket parts. While we recognize that aftermarket parts serve a purpose for some, to us there's just nothing like using the OEM parts recommended by your car's manufacturer. You can always count on us to use the recommended OEM parts whenever a replacement is necessary. 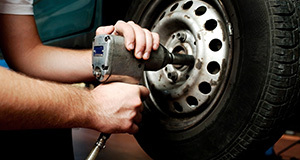 Tire service is one of the most essential parts of maintaining your vehicle. When your tires get old and worn out, it's very likely that you will experience reduced traction on the road and sometimes even find yourself in dangerous driving conditions. Don't let your tires get so worn out that they're unsafe! 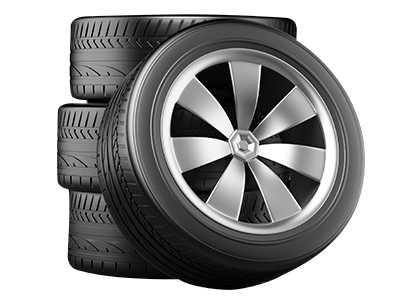 Schedule an appointment with our tire experts and have all four of your tires inspected. We can tell monitor tire pressure, examine your tires, and let you know if it's time to replace them with a fresh batch of four new tires (or two if that's what you prefer). Anyone who has concerns about their tires is welcome to call us with questions, call to schedule an appointment, or simply drop by our dealership at the earliest convenience. Our team will take care of your tires the way that they deserve.